Located in Orlando, Florida, Disney World is perfect for senior citizens who want a vacation that evokes memories of childhood and a sense of fun. Although Disney World does not offer specific discounts to seniors, you can take advantage of off-season travel and great rates for flights, hotels, and vacation packages from some of the top resorts. There are a number of ways to get good deals, such as buying tickets from online agencies and planning ahead. Using these discounted rates can make Disney World an ideal vacation destination for first class travel and ameniteis for seniors. There are plenty of ways to get discounts on your trip, as well as to take advantage of being a visitor at Disney World. Prepare for any special needs: If you need things like wheelchair access or special amenities at Disney World, plan to take advantage of things such as free Valet Parking for people with disabilities, renting a wheelchair or Electric Convenience Vehicle, and taking advantage of services for seniors who are visually or hearing impaired. Print a copy of the services for special needs guests to take with you on your vacation so that you can reference not only the services available, but also the phone numbers and other ways of arranging these services. Enjoy a full-service spa and first-class amenities: Walt Disney World resorts such as Disney's Grand Floridian Spa and Disney's Saratoga Springs Resort have exclusive spas for Disney vacationers and name brand reputations. Call ahead and ask about discounts before you arrive. Get amazing entertainment: The discount site MouseSavers has a list of entertainment options at Disney World and nearby. While there is a wide range of options, decide what you want to do in advance and work within your budget in order to make the most of your vacation, as well as your budget. Undercover Tourist is a reliable ticket broker for Disney World tickets, and offers price discounts. Maple Leaf Tickets is an authorized Disney ticket agent. The Official Ticket Center has discount tickets for things to do in Orlando. Compare ticket prices or buy direct from the company by going to the Walt Disney World Resort ticket page. One note of caution when buying tickets from an agency is to ask about any hidden fees. Sometimes these agencies will tack on an additional convenience fee for their discount service, rendering the price the same as buying at the gate. Get a FASTPASS: The FASTPASS option allows you to make reservations at rides so that you don't have to stand in the long lines. 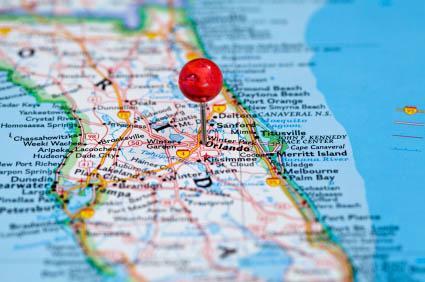 Talk to a local travel agent: Try contacting a local Orlando travel agent and asking for suggestions and discount ideas. Start by calling the Orlando Convention and Visitors Bureau to ask for recommendations at 1-800-215-2213. The more you can prepare ahead of time, the more likely your vacation will meet your expectations. While Disney World may seem overwhelmingly large or you might have the idea that Disney is only for kids, the park is actually an excellent place for senior citizens, especially if you plan ahead and go after the discounts that are widely available.